Now that you have installed the plugin it is time to activate it. 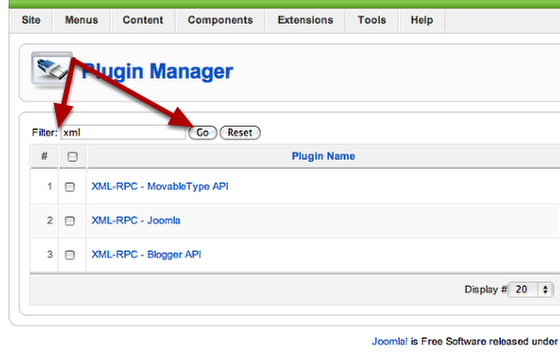 Choose the Extensions > Plugin Manager menu item to load the Plugin Manager screen. When the Plugin Manager screen loads type XML into the filter field and click Go to filter the list of plugins displayed. 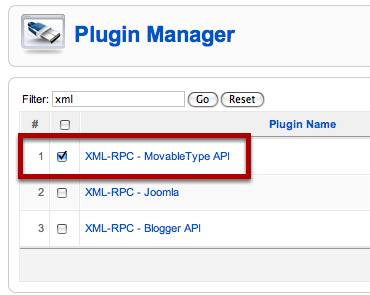 Check the box for the XML-RPC - Movable Type API plugin. 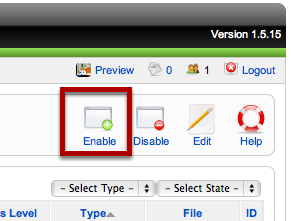 Click the Enable button to enable the plugin. The Enabled checkbox for the Movable Type plugin should now have a green check mark.